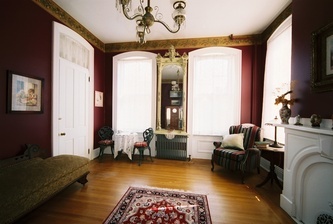 Welcome to The Historic York Inn, located in The Smyser-Bair House — a Victorian mansion that has been an anchor in the center of the historic district of downtown York, Pennsylvania since the early 1800s. 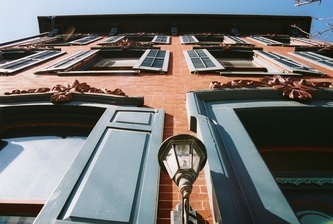 We're located at 30 South Beaver Street in York, Pennsylvania. 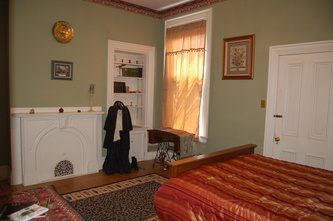 The Historic York Inn / Smyser-Bair House is the perfect place to stay — in part due to its beauty and history, and in part due to its central location to so many points of interest: York, Gettysburg, Harrisburg, Philadelphia, Hershey, Lancaster, Baltimore, Washington DC, and a number of interesting sights nearby. 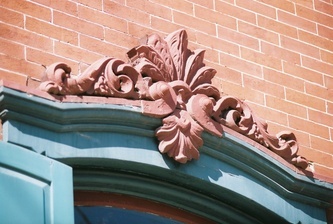 The central location makes The Historic York Inn well-positioned for an extended vacation of day trips. For the city-dweller, it is also a perfect location — because it is in walking distance to everything: the Visitor’s Center, the Central Market and Farmer’s Market (featured as one of the top ten historic markets in the U.S. by the Food Network), the Strand-Capitol Historic Theater and Performing Arts Center, fine and casual dining, restaurants and night clubs, boutique shops, art galleries, antique shops, museums, the colonial courthouse, Historic Trust, Penn Park, the bus station, the new Baseball Stadium, office buildings, countless historic markers, and even the original Articles of Confederation which established the United States of America. 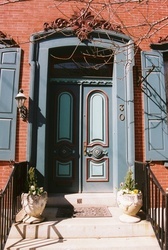 It’s easy to be a "guest about town" when you live in this mansion. Of course, once you make it in and see the place, you may not want to go out! 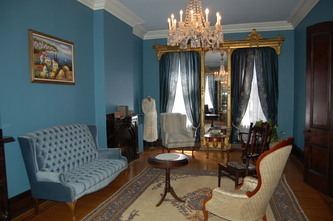 We welcome you to visit for a brush with history, a romantic getaway, or for any of your long or short term travel needs. 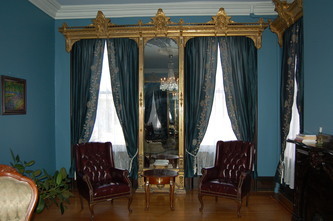 Gold Pier mirrors, crystal chandeliers, stained glass windows, elaborate woodwork — it’s all yours to enjoy as our guest. Living in luxury like this is more affordable than you may think. Our rates rival those of corporate hotels, yet offer so much more. 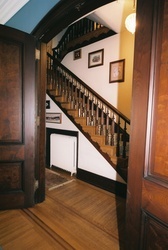 Decorated with antique furniture and maintaining the look and feel of a Victorian mansion from the 1800s, this home features well-preserved details from the past, including gold-leaf, Italian, handcrafted Pier mirrors smothered in gold that, legend has it, came from Henry Smyser’s own documented Gold Rush expedition; crystal chandeliers; hand-crafted ceiling medallions and crown molding; stained-glass windows with family crests; an antique, 100 percent porcelain sink and water closet; 9 to 13 foot ceilings throughout the home; hand-cast, iron window heads; stunning mantles and marble fireplace surrounds; a second floor balcony; and a beautiful mural out back where the stable once stood in the brick courtyard. 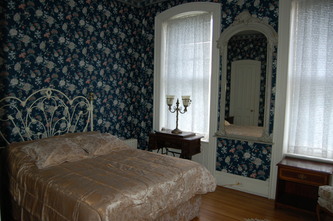 We look forward to welcoming you to The Historic York Inn / Smyser-Bair House Bed & Breakfast. For reservations, more information, or to arrange a tour, please send an email to us at YorkInn@gmail.com or call 717-814-9INN. (That's 717-814-9466). Or make your reservation online! Copyright 2007. All text and images on the pages of this website are available under the CC-BY-SA-3.0 and GFDL licenses. Please attribute by either linking to or referencing www.YorkInn.info.